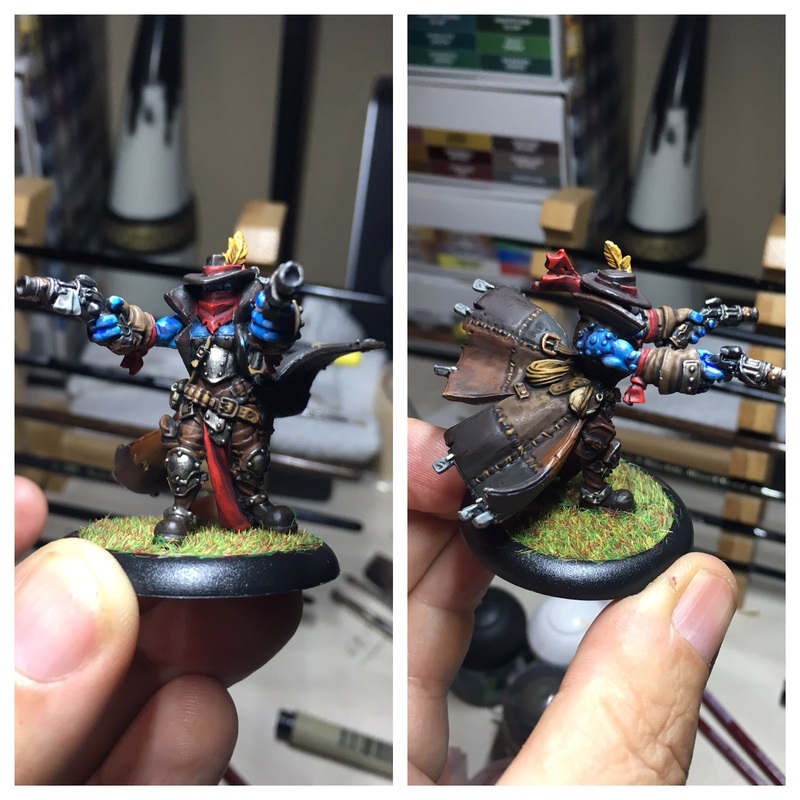 I painted up a set of Trollblood Highwaymen earlier in the year, so it was about time I got around to their partner in crime, Braylen Wanderheart. 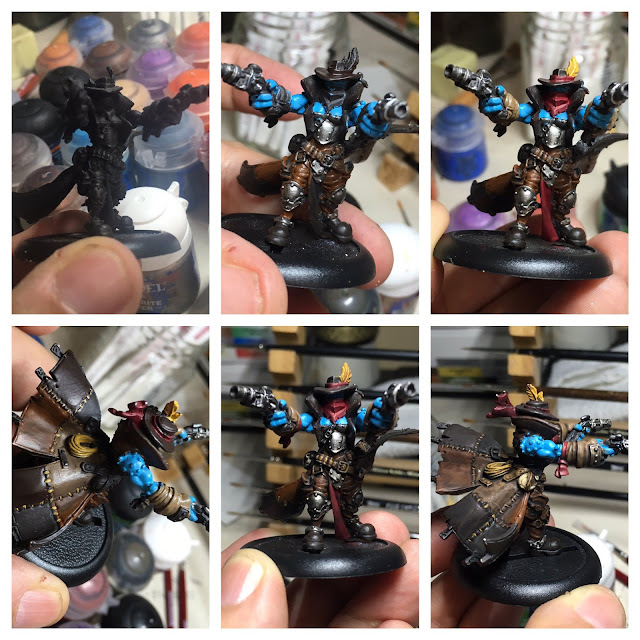 I like the style of these Trollblood sculpts, and they fit the theme perfectly. I went with a beaten leather / forest style color scheme to fit in with my the rest of my horde. The red accents being a running theme throughout all my Trolls. I also got to try out the new Games Workshop gloss ink shades on her armor. The new gloss version of Nuln Oil does indeed give the shading a nice polished sheen. So pretty much 'as advertised' there. She worked out nicely enough for a single afternoon's work. That's actually me out of Trolls to paint at the moment. At least until I get tempted again. I have a sneaking suspicion that the new editions of Hordes and Warmachine will probably tempt me into something new!